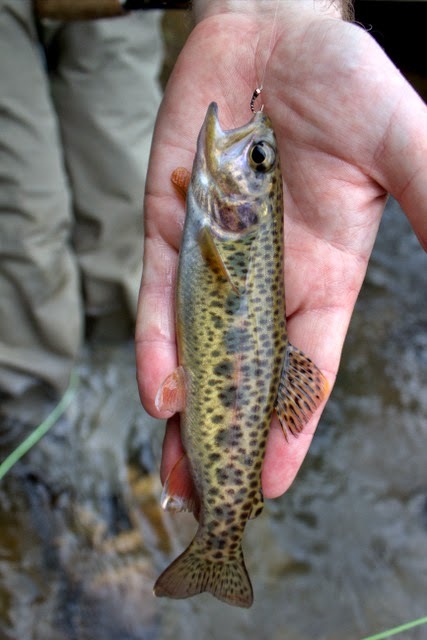 Tonight I will be giving a presentation on fly fishing in Colorado for the Great Smoky Mountains TU chapter. Ever visited Colorado or maybe you have been thinking of a trip but do not know where to start? I will be covering a few favorite fisheries including the best season to hit them and some other information that will have you ready for a road trip. For more information on the meeting time and location, check out this post on the Little River Outfitters message board from the chapter president. Hope to see you there! As you well know if you have paid much attention to this blog, I enjoy messing around with a camera. On a recent trip to the nearby cow pasture lake, I decided to have some fun with a couple of the crappie that I caught. Here is the result. Both of these are versions of the exact same picture. I just cannot decide which one I prefer. Which one do you like better and why? Ever since my cousin moved to Greenville, SC, he has been trying to convince me to visit and experience some South Carolina trout fishing. Not that I needed much arm twisting when fishing was involved, but you know how life gets in the way and things get busy. Last week, with the memory of the ice storm of 2015 still fresh in my memory, the thought of a warmer climate and spring hatches had me thinking about a road trip. 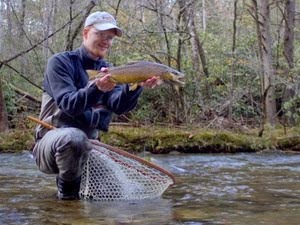 Most people probably don't even realize that South Carolina trout fishing even exists. I must admit that I was a bit skeptical about the quality of fishing that I would find, but then part of the charm of fishing new water is in the exploration as much as in the catching. 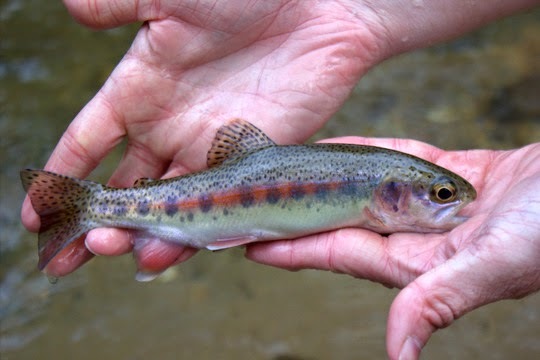 After doing a fair amount of research, I discovered that, yes, South Carolina does have some trout fishing although it remained to be seen whether it would be worth a second trip. A few weeks back, when the Cumberland Plateau was stuck in winter's icy grip, I called my cousin and made plans to visit during his spring break. When last week turned out to be one continuous rain shower here in Tennessee, I knew I had picked the right time to travel. 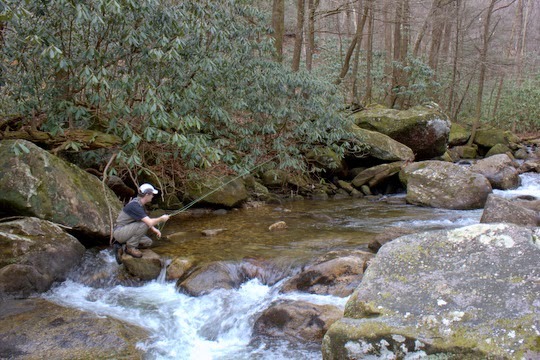 While my local waters were all high and blown out, the streams in South Carolina were almost perfect or at least the ones we were experiencing were. All of our fishing was on the same stream although on different sections. This particular stream had an interesting catch and release section that is apparently only open 3 days a week. 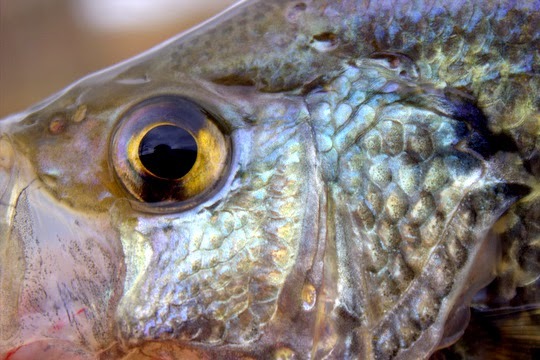 At some point in the past it appears that the fish received supplemental feedings, but we could not find any current evidence of such taking place. 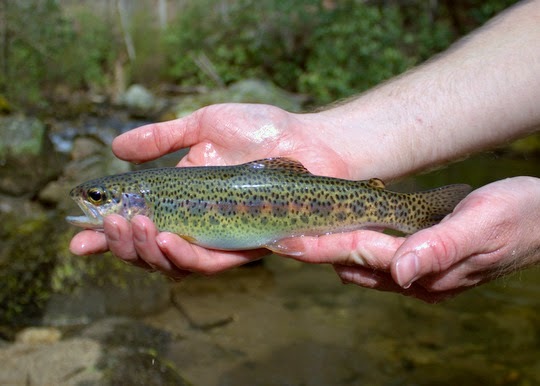 The fish were your average mountain freestone stream trout with a heavy dose of fingerlings and small fish up to about 5 inches. The occasional nice trout kept things interesting though. On our first day out fishing, we noticed little black caddis, little black winter stoneflies, and early brown stoneflies in addition to the usual collection of assorted midges. A stray mayfly or two was spotted as well but not in enough numbers to get the fish keyed in. 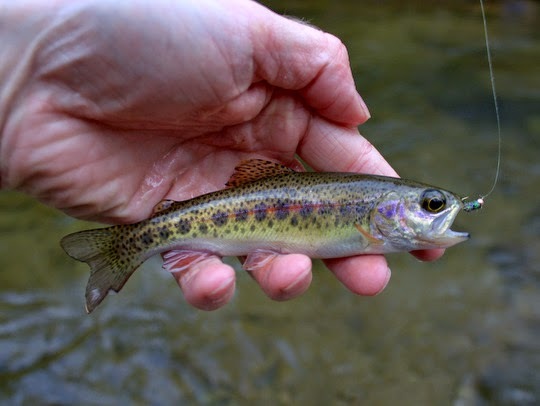 the good thing about this stream is that the fish did not seem to be very selective and we caught them on a variety of both dry fly and nymph patterns. 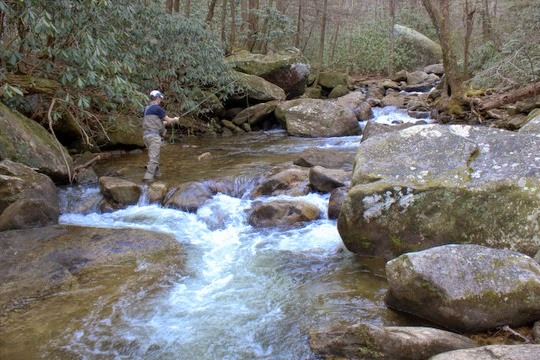 By the end of the first day, it was clear that the stream had potential and we were excited to get back for round two fishing higher up the drainage. So far, South Carolina trout fishing was pretty good! 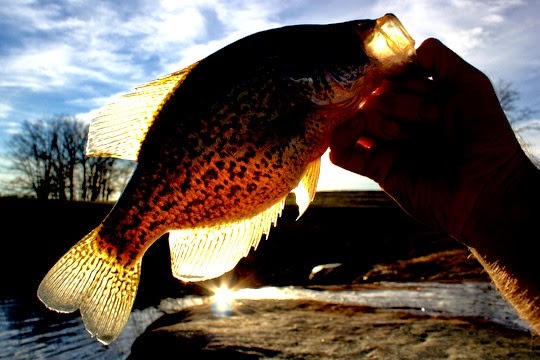 What a difference a week makes if you are looking looking for panfish! 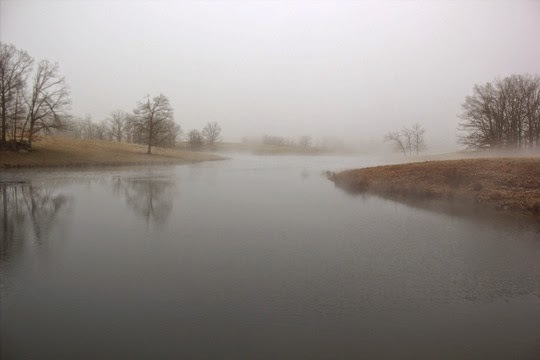 When I took a few minutes to run to a nearby small lake last week looking for some crappie and bluegill, things were pretty slow and ice was still melting in a few spots. One hungry bass did grace the end of my line, but that was the only fish spotted. Fast forward to this week and I'm naturally wondering whether things have improved. With much warmer air temperatures and at least a couple of sunny days since my last quick trip, I figured the fish might be more active. One rod was already rigged and I decided to string up the seven weight in case I found some larger bass willing to plan. The lake was again devoid of other fishermen. That won't last very long with such nice spring weather finally here, but I'll take it and enjoy it while I can. When I first walked up on the big rock that I normally start fishing from and peaked over the edge, I saw fish spook every which way. That is always a good sign. As it turns out, the fish had mostly moved up into the shallows, probably enjoying the warmer water where the sun could do the most good. Oh, and they were hungry. I caught more and larger fish than I have caught in a long time from that lake. 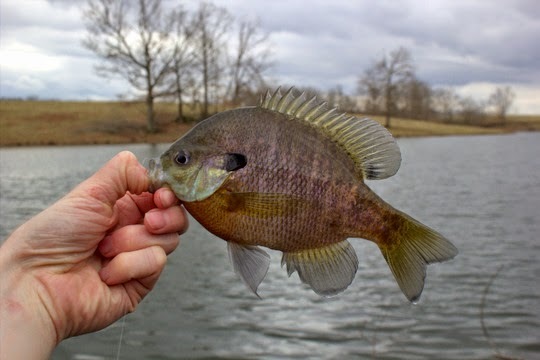 All the larger bluegill and crappie were hungry and were the more aggressive than even the little guys which meant I only caught three smaller fish. In the end, I didn't fish all that long but caught a lot of fish. From now on, things will only get even better for panfish. Along with the warming temperatures has come a huge increase in the number of migrating birds which leads me to believe that spring might actually be here for real this time. Sandhill cranes, ducks, geese, and of course plenty of robins and other indicators of spring have been arriving. Some pass on to points much farther north, but every spring and fall I enjoy seeing the variety of feathered friends heading north and south respectively. Even though spring appears to really be here, if we have learned anything from this winter it is to expect something unusual. In Tennessee, some of our largest snows have come in March so its not over until its over. Still, with hatching bugs and rising trout, not to mention hungry panfish, I'm fairly confident that we are starting to turn the corner. 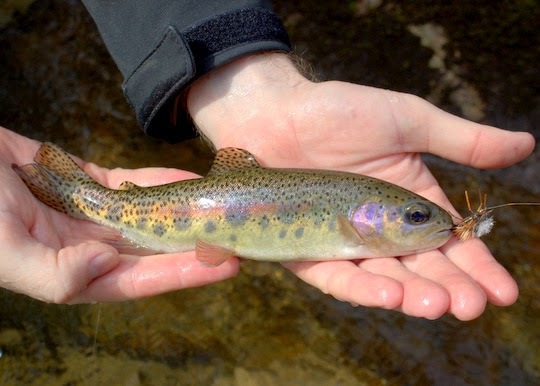 There is a funny story in today's fishing report from Byron at Little River Outfitters. 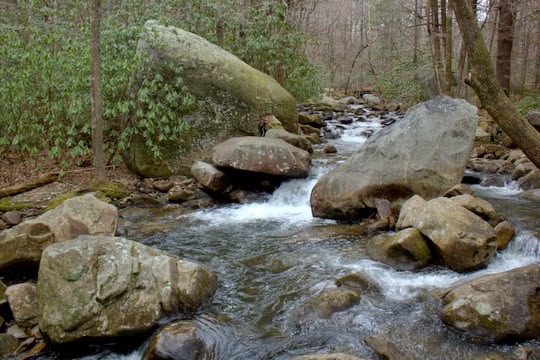 The story is about the opening of Lynn Camp Prong and how some wires got crossed just a little. 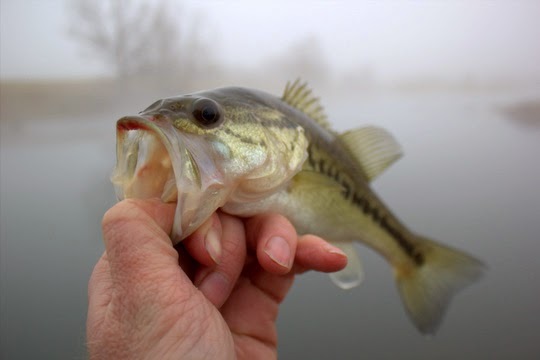 Head over to the Fishing Report and check it out! Today saw the first edition of the Trout Zone Anglers newsletter being sent out. If you have not signed up for the newsletter yet, don't forget to do so using the form at the bottom of this post or the bottom of the page. 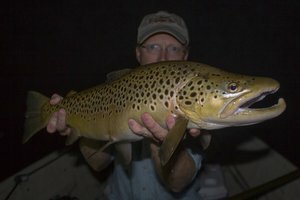 If you want a chance to see what you are getting in the newsletter first, here is the link to the March 2015 Trout Zone Anglers Newsletter. 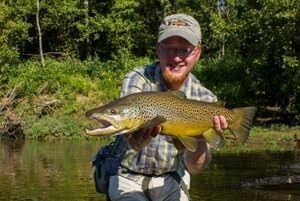 If you sign up, you will only receive occasional emails containing fly fishing tips and tricks, destination ideas, guided trip info, occasional discounts and other deals, and the same interesting content that you are used to seeing here at the Trout Zone. Check it out. Also check out the results of the first fishing trip I've taken in a while! Despite hearing the stories, I have never actually seen this happen until finding this video. I suppose it might be time to start tying some baby duck patterns for the spring and summer musky season. So yesterday I realized that I was getting more than a little tired of the cabin fever, as in tired enough to do something about it. So naturally I strung up a 5 weight St. Croix Legend Ultra that has been a favorite rod for over 10 years and headed to a nearby lake that I love to fish in the spring (video). 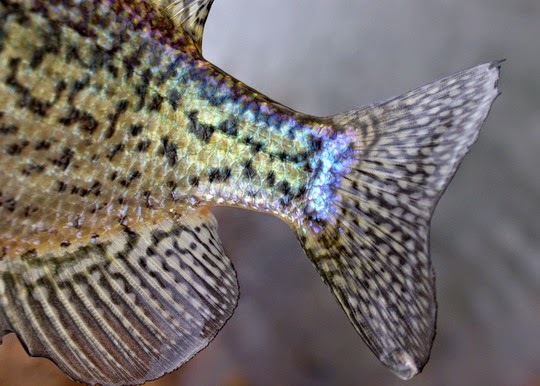 As some of you probably know by now, I am fond of smaller patterns for bluegill and crappie, smaller than most other people are fishing in fact. Specifically, like my friend Bill Trussell over at Fishing Through Life knows, I tie and fish a LOT of Simi Seal Leeches. Black is my favorite color although other colors work great as well. For this trip, I tied on a black #12 Simi Seal leech with a bead head before leaving the house so I could focus all my time on fishing once I arrived at the lake. When I got there, a decent amount of ice and slush still existed on the lake's surface. Despite the warming trend of the past couple of days, the lakes are still very cold and holding on to the ice. Admittedly, I was a bit concerned about the fishing prospects. Ice on the surface didn't seem like a positive thing for the fishing but since I was already there I wasn't going to leave without casting a little bit at least. 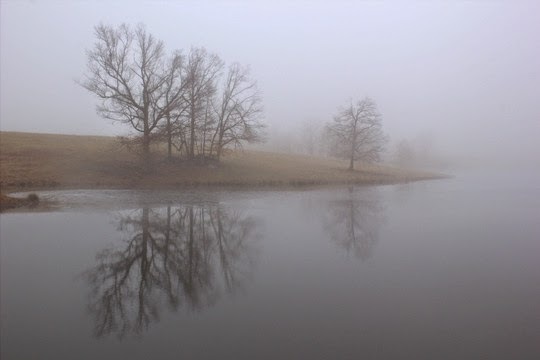 The heavy fog that kept rolling through the area made for some beautiful scenes. As the assumption that the fishing would be slow took hold, I started to gain more interest in documenting the scenery. It may be a stretch of the imagination, but can anyone else see a giant butterfly in the picture below? Or maybe it is an angel, I'm not sure. Eventually I got back to fishing with the plan to fish for a few minutes and then head home. 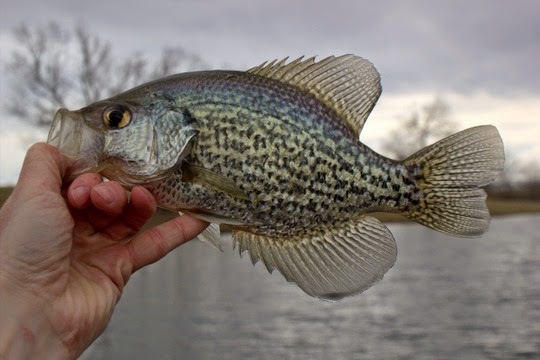 What I was really looking for was some early season crappie. Usually you can start catching them on this particular body of water by the first of March. Since this year was unusually cold, I didn't have a lot of faith in finding any but knew where to cast in case they were around. On the second cast to a very good drop off that normally has some fish hanging around, I looked down just before pulling my fly out of the water at the end of the retrieve. You can probably imagine how surprised I was when I noticed a shadow behind the little leech pattern. I stopped and let the fly start to drop past the fishes nose. That did the trick! It opened its mouth and inhaled the fly. 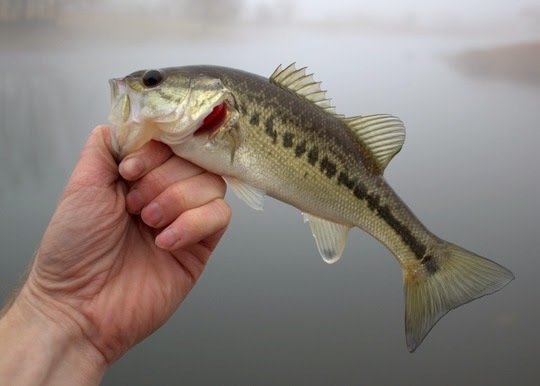 My surprise was even greater when, after hooking the fish, it finally came to the surface and I realized it was not a crappie or a bluegill but a little bass. That made my day. I was happy enough to be satisfied with one fish. After all, I probably had only fished for 15-20 minutes, taken a few pictures of the landscape, and caught a bass. How much better could it get? 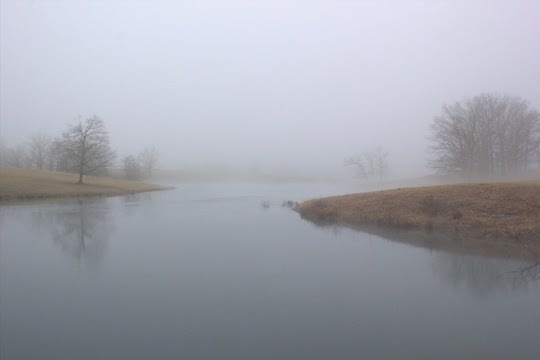 The fog had rolled back some while I was fishing, so after releasing the fish, I took another picture or two. Maybe 4 or 5 more casts were made but I knew that it was time to head home. The trip was a success, and it is a poor sport who demands more from the water than one deserves. I had already been blessed beyond my expectations and figured that it wasn't a good time to get selfish. Here is another video that I think you will all enjoy. 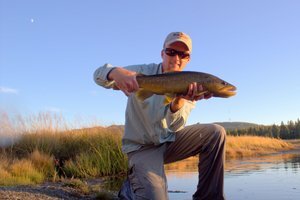 It is a very short film but highlights a weekend getaway to Aspen and a few hours in which the guys snuck off to fish the Frying Pan River below Ruedi Reservoir. Check it out! Okay, maybe this Tuesday is not dreary where you are at, but it is here on the Cumberland Plateau. I've been dreaming about going fishing ever since the epic ice storm hit but so far have not gotten out. 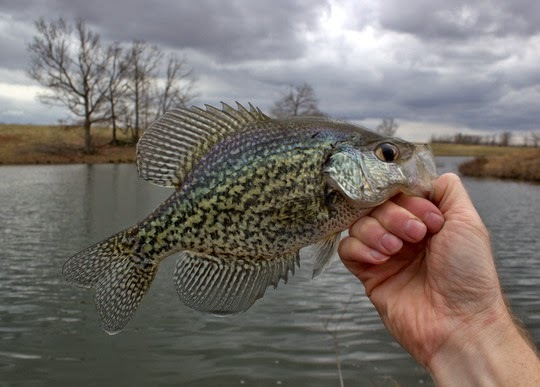 I may swing by the local pond for a few minutes this afternoon if the rain holds off just to occupy myself and see if any crappie are out and about yet, but I'm not holding my breath. It has simply been too cold lately and the water will take some time to warm up. Anyway, here are a couple of great short films to entertain you on this Tuesday. 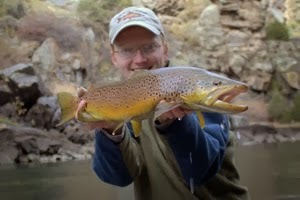 The first is a short film on fly fishing for brown trout that highlights the creative process. It is from Dave and Amelia Jensen so you know it will be good. The second video is from the nice warm saltwater flats and highlights the pursuit of permit on the fly rod. If it has been as cold lately where you live as it has been here at my house, this is probably just the thing you need to help you warm up. On the other hand it might increase your cabin fever exponentially to potentially lethal levels so viewer discretion is advised. As always, help me out by sharing these articles via your social media using the share buttons at the beginning of the articles and much thanks! 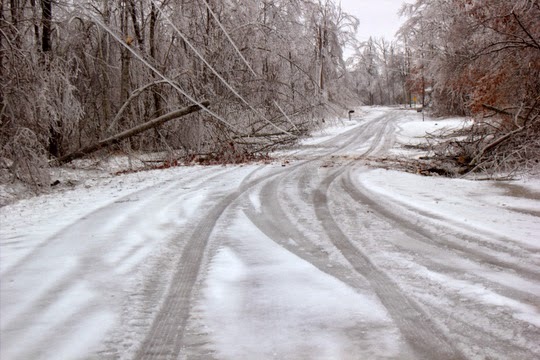 Here are two photographs from the ice storm of 2015. When I awoke around 3:00 a.m. to the sound of gunshots snapping limbs, I knew that morning's light would bring a scene much different from what I saw the evening before. Incredibly, the really good show held off until after daylight, allowing us to sit and watch out the windows as limbs and even whole trees came crashing down. Once I have a little more time to digest the event I'll have a lot more written about it I'm sure, but for now, here is what it looked like outside my bedroom window looking down from the 2nd story. 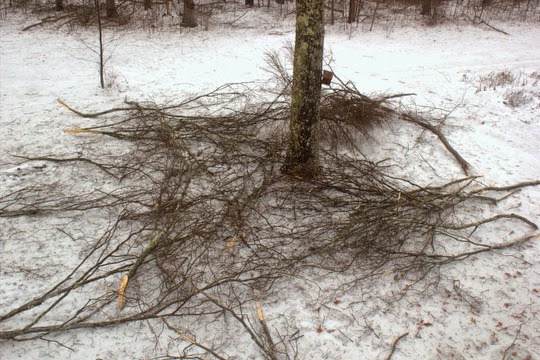 This tree does not have many branches left. They all came down in a crash of sound and glistening ice. While we were still debating the safety of venturing outside, the neighbors kindly came out with a chainsaw and a large tractor, making quick work of the road and even our driveway. Now that is being neighborly! Perhaps the saddest part of this whole deal? I haven't been fishing for two whole weeks. Well, the Ice Storm of 2015 is mostly behind us now. There are still a lot of trees and limbs to clean up but we have electricity again which means I should be posting some again. For those who wondered where I went, we lost power for approximately 200 hours beginning over a week ago on Friday night. The area immediately to our west and northwest seems to have the worst damage, at least from what I have seen. There are areas that look like a significant tornado came through. Anyway, I am thankful that nothing fell on our house or vehicles and everything is slowly heading back to normal now. I'll post some pictures and hopefully a fishing update soon. In the meantime, check out this page from the National Weather Service in Nashville on the recent winter weather here in Tennessee. There are some good pictures there as well as a lot of info about what transpired.